As we approach Mother’s Day, I want to express my gratitude to the amazing moms I am lucky to call my friends. My own mom used to talk a lot about community and how important it was but I never fully understood what she meant until I had my girls. As they grow older, I’m finding I value my mom friends even more than I did when the girls were babies which is saying a lot! Being a mom would be a very lonely business without the support and perspective of those mothering their own children alongside me. Of course, I’m lucky to have a great husband who’s an awesome dad but us moms understand each other in a way no one else can. To say we can be a little hard on ourselves would be a huge understatement. We need our friends to lift us up and cut us slack on a very regular basis in order to maintain sanity. So thank you, dear friends, old and new, near and far, for teaching me, inspiring me, commiserating with me and supporting me! Thank you for taking my girls and caring for them as you would your own and entrusting me to do the same with your sweet children. Thank you for going on adventures with us we probably would not have pursued on our own. Thank you for not judging the way I parent because we are all doing the very best we can. To those of you with older kids, thank you for reminding me they’re only little for a very short time and for your advice navigating the years ahead. To those of you with younger kids, thank you for letting me enjoy your little ones and reminding me we’ve come a long way! Thank you for the walks, the books, the cooking and art nights, the wine, the coffee, the talks and the laughs! Mostly, thank you for making me feel part of a very special tribe. I could not do it without you. 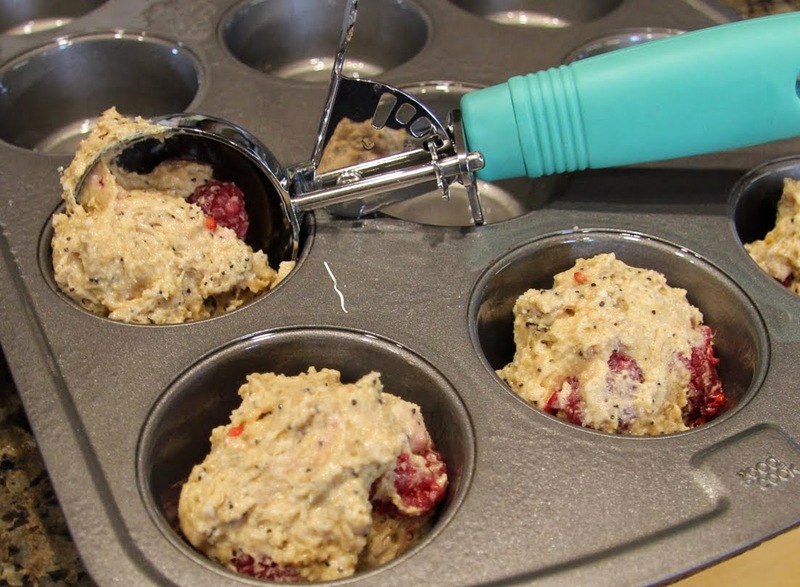 These muffins are perfect for busy moms who like their baked goods not too sweet and with a little boost of something healthy (like ground flax seed) added in – for themselves and their kids! 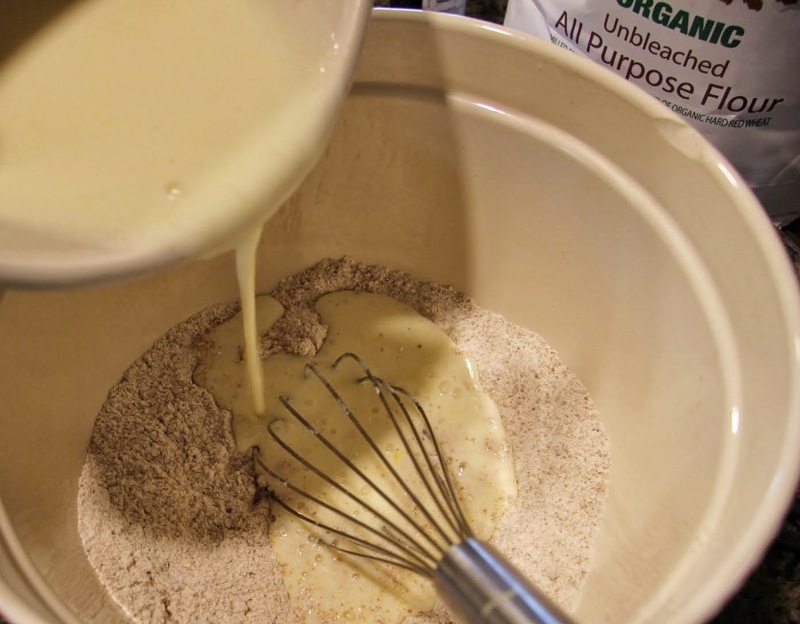 I used regular all-purpose flour but I think you would also have a good result with an all-purpose gluten-free flour blend. It was fun to play with two different flavor combinations, as you’ll see, I made each batch side by side. Bob and the girls were partial to the Lemon Blackberry but the Orange Raspberry Poppyseed disappeared rather quickly as well. 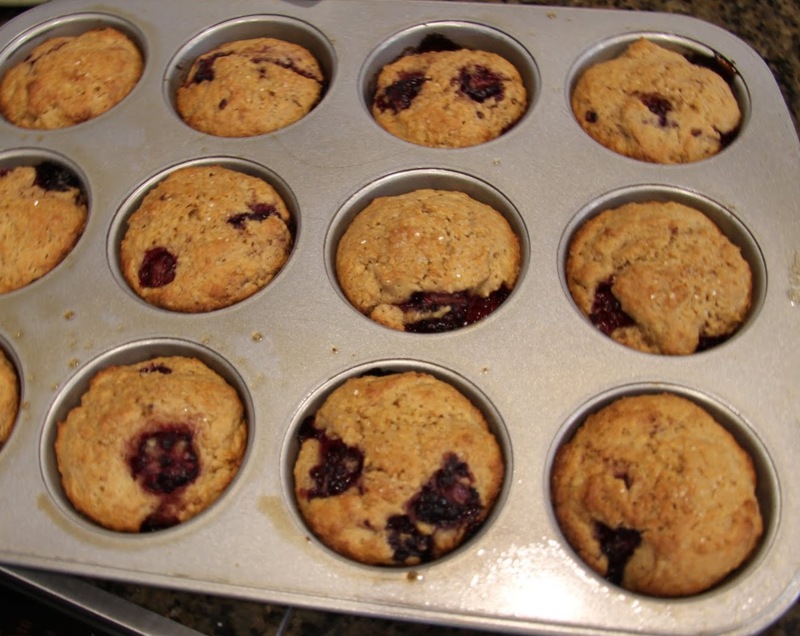 Prepare muffin pan by spraying generously with non-stick spray or lining with paper liners. 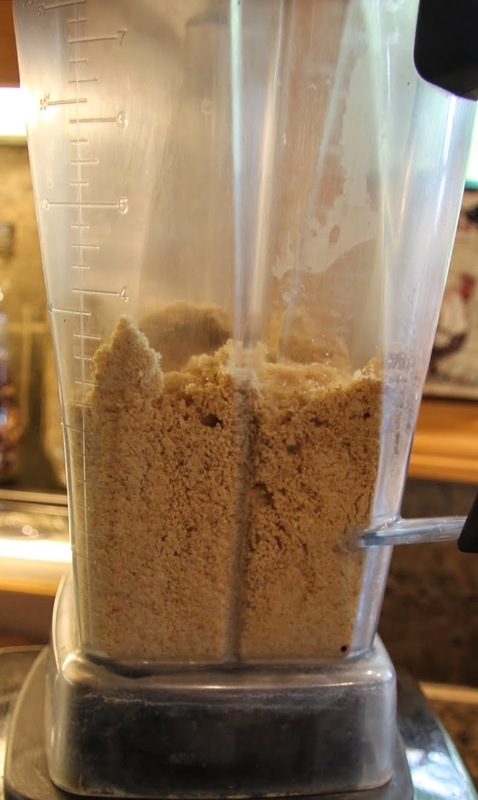 If you have ground flax meal, proceed to the following steps. If you have the seeds (pictured) and a high powered blender or (clean) coffee grinder, grind about a cup of them and measure out 1/2 cup. 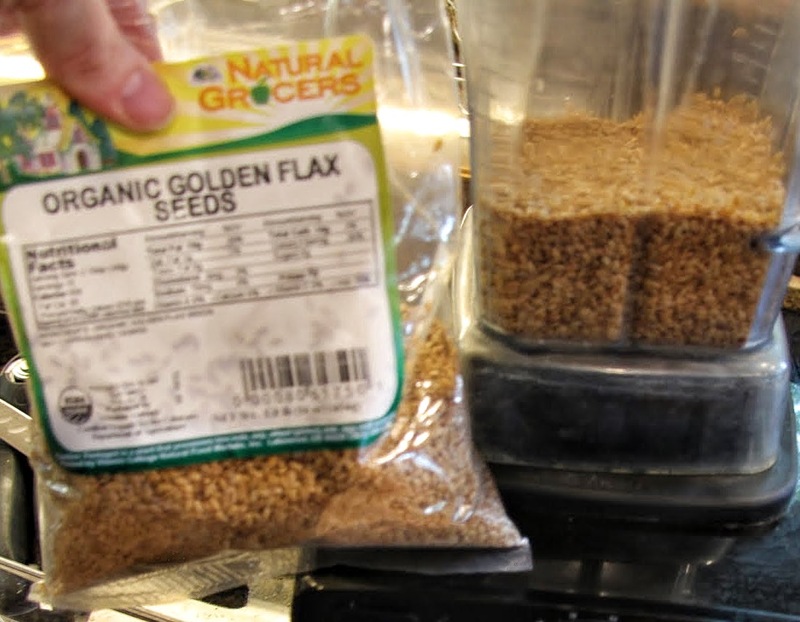 Keep the remaining ground flax seed in the refrigerator and use it in your morning smoothie. 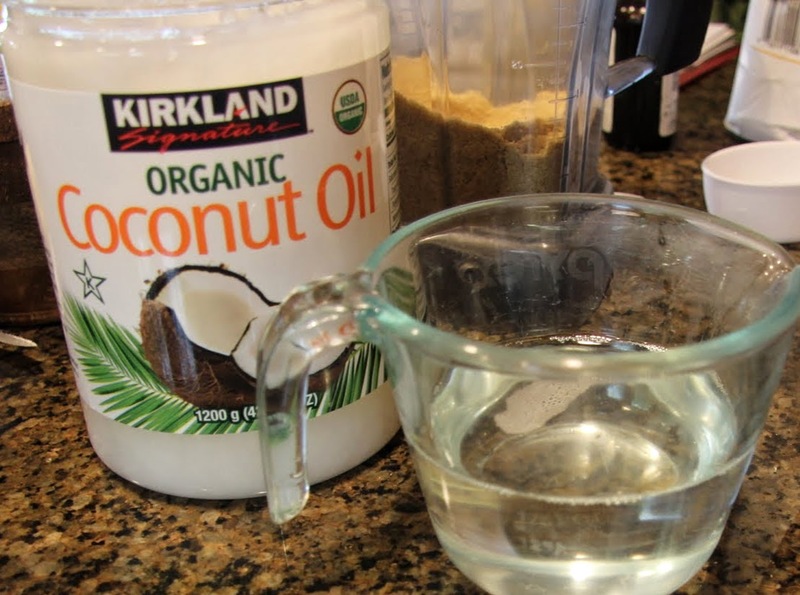 Melt coconut oil in the microwave (or over the stove) and set aside to cool. 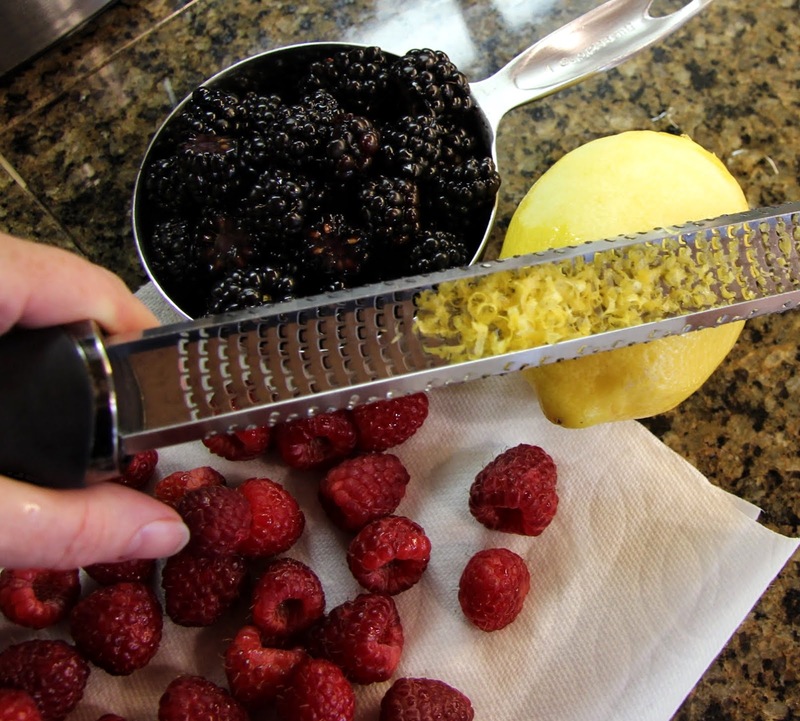 Wash berries and lay out on a towel/paper towel to dry. 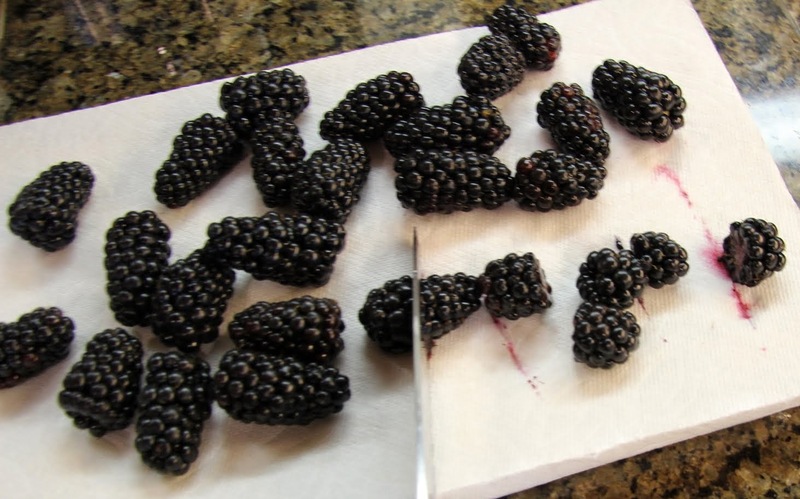 If you have extra large blackberries, cut them in half. Zest and juice the lemon/orange and set aside. 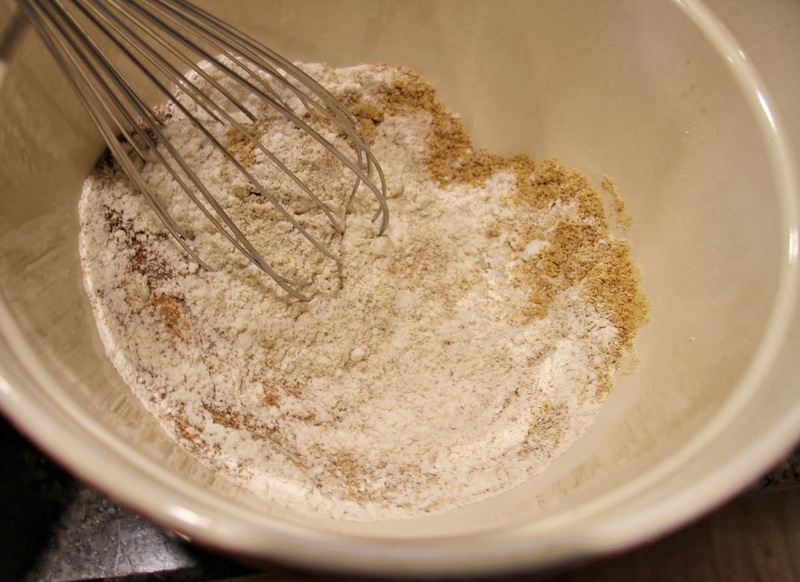 Place all of the dry ingredients listed above in a large mixing bowl. 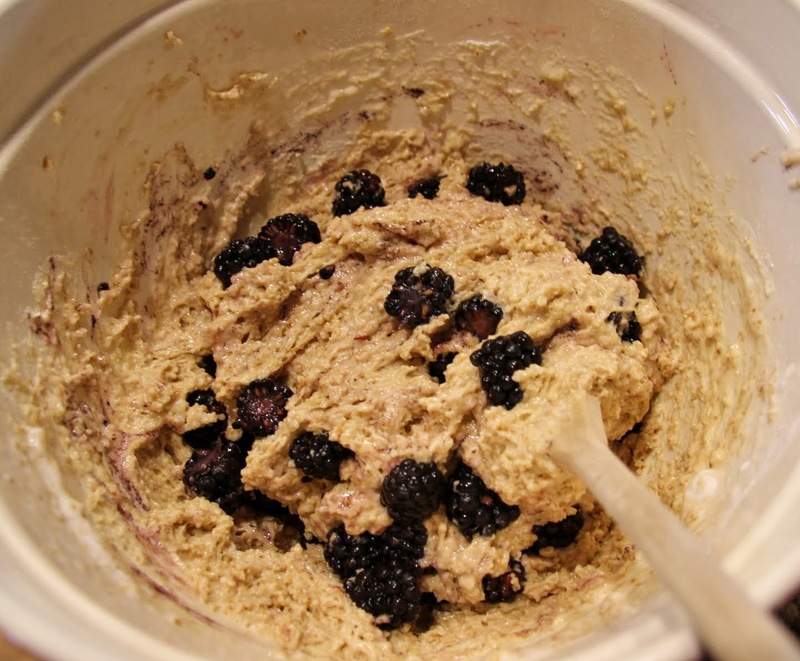 If you’re making two batches, repeat in another large bowl like I did. 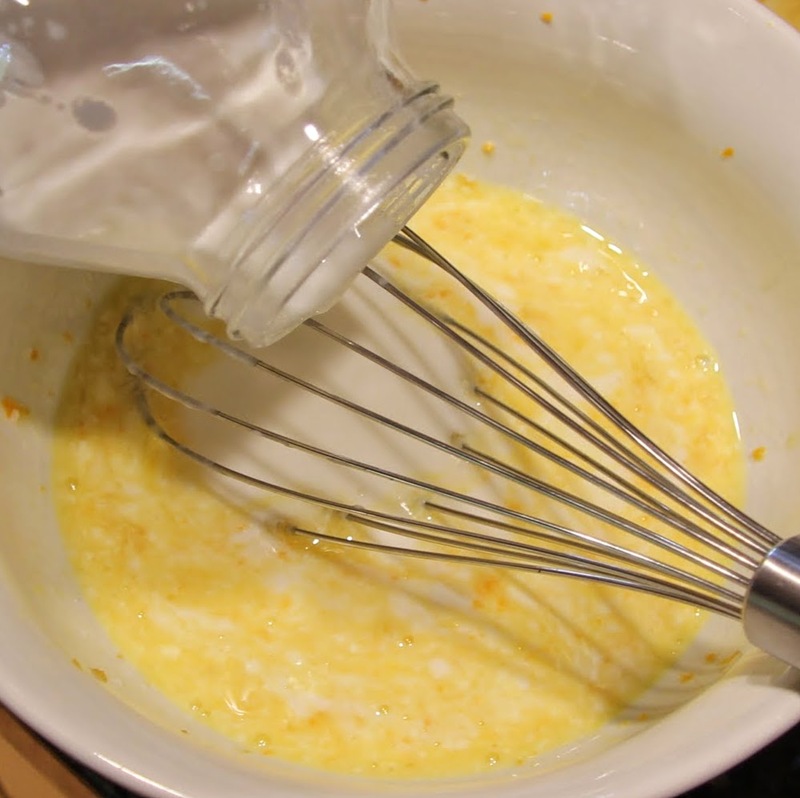 Whisk the dry ingredients together until well combined. 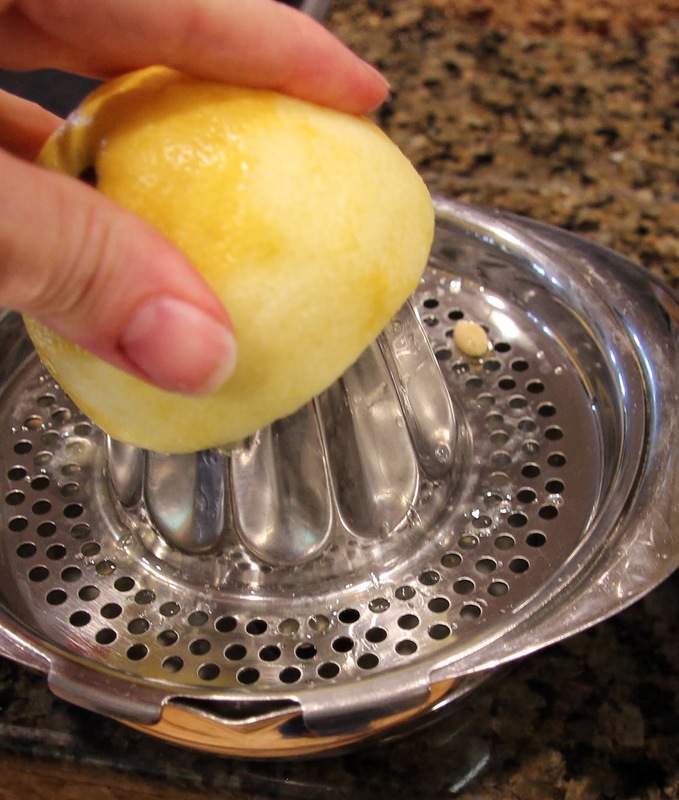 Place lemon/orange zest and 3 TB juice in a medium-large mixing bowl. 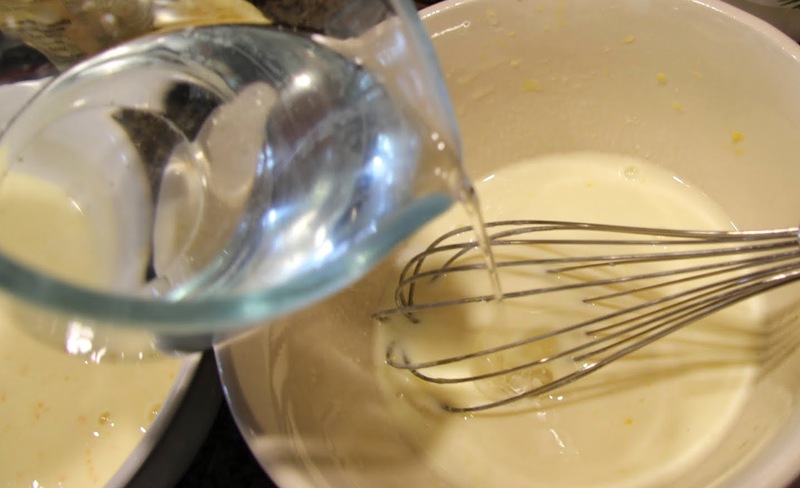 Add kefir/buttermik, egg and oil then whisk together until well combined. 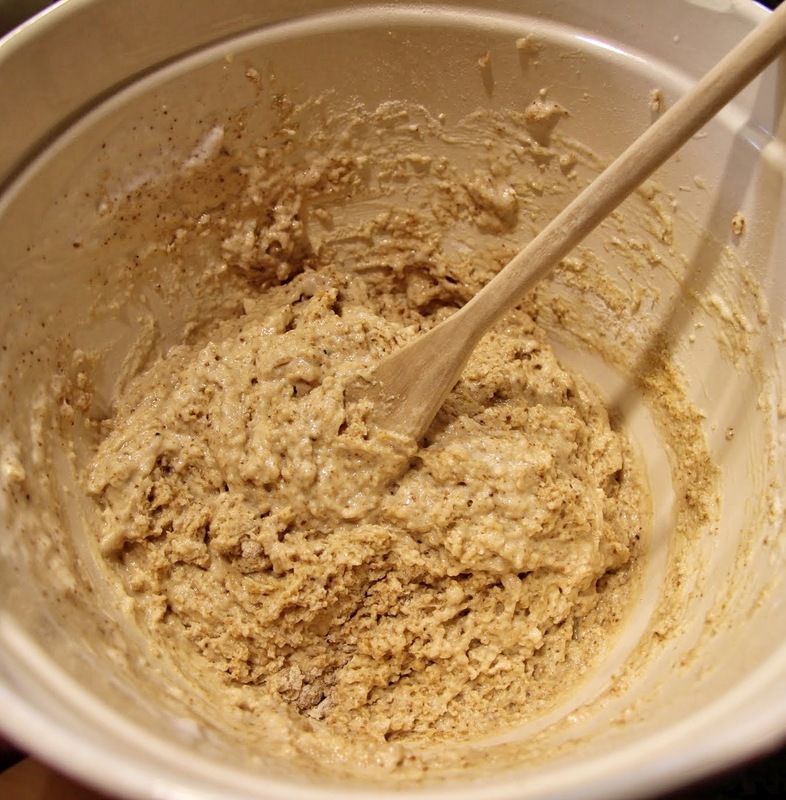 Add the wet ingredients to the dry ingredients (you’ll see I started with a whisk then decided I needed a wooden spoon). 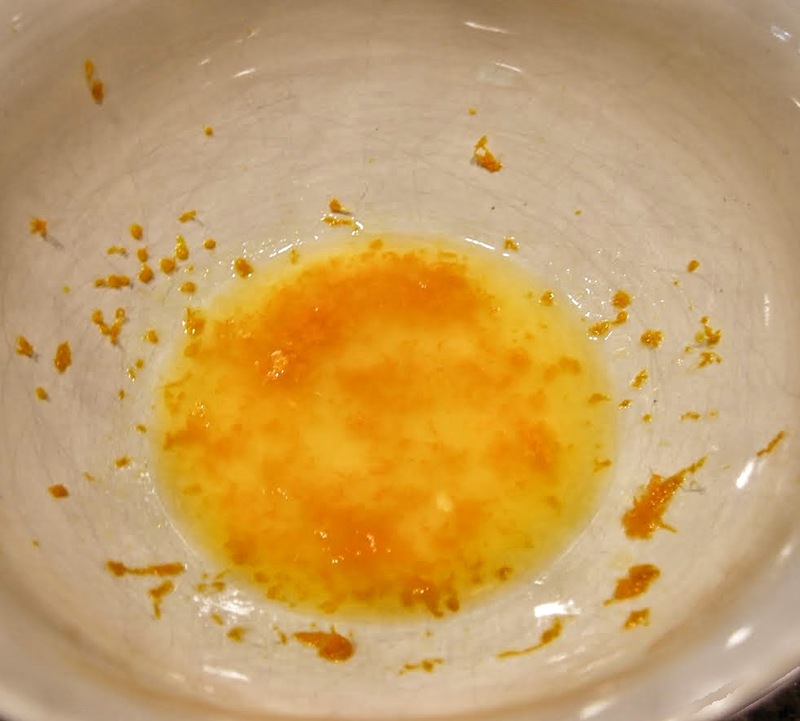 Stir until the ingredients are just barely combined. You want to be careful not to over-mix at this point. The batter will be thick. 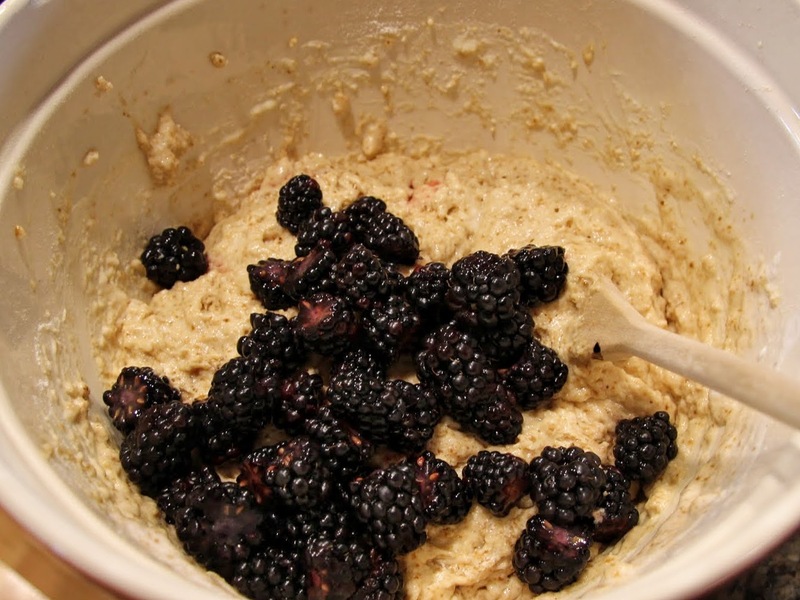 Very gently, fold in poppy seeds (optional) then fold in berries. 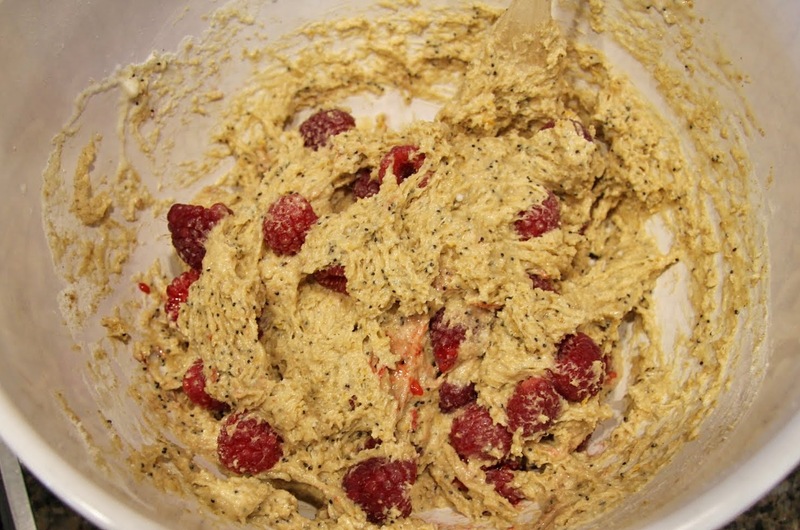 The first photo below is the orange+raspberry+poppyseed version, the following two pictures are the lemon+blackberry. 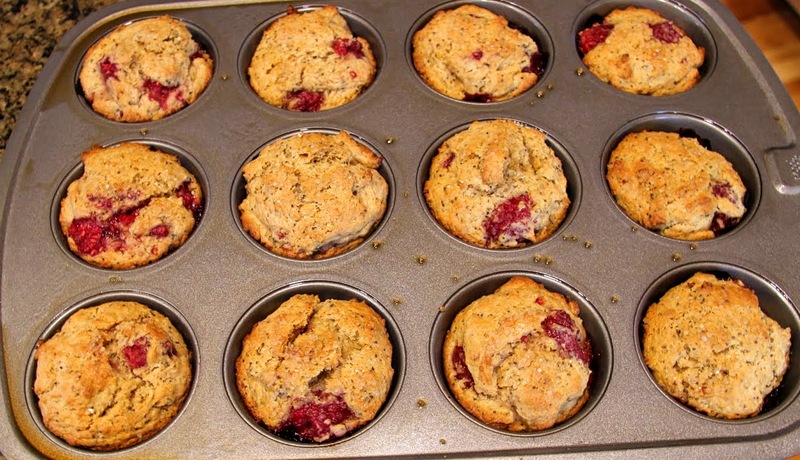 Fill the muffin tins about 3/4 full of batter. An ice cream scoop works great! 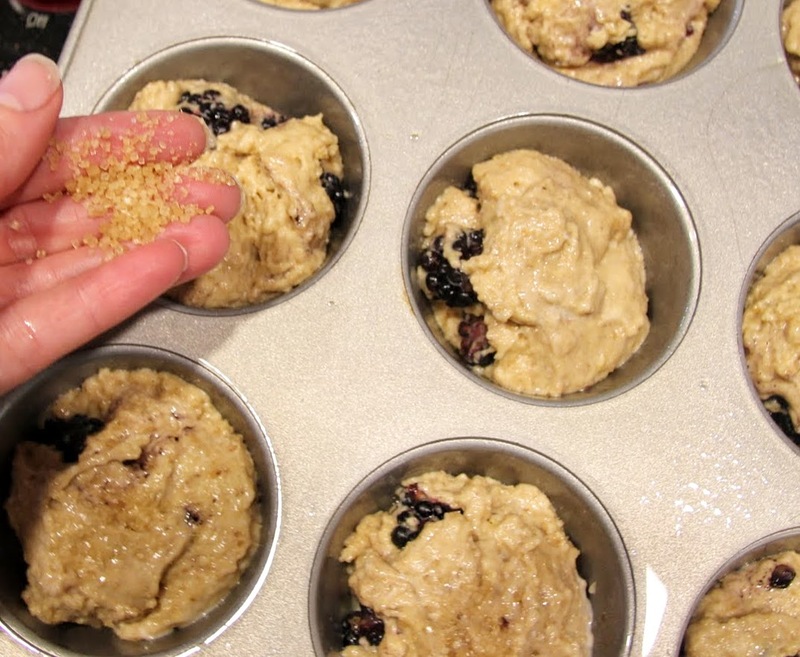 Before baking, sprinkle each muffin with turbinado sugar (about 1/8-1/4 tsp on each). Bake in preheated 375-degree F oven for about 25 minutes. 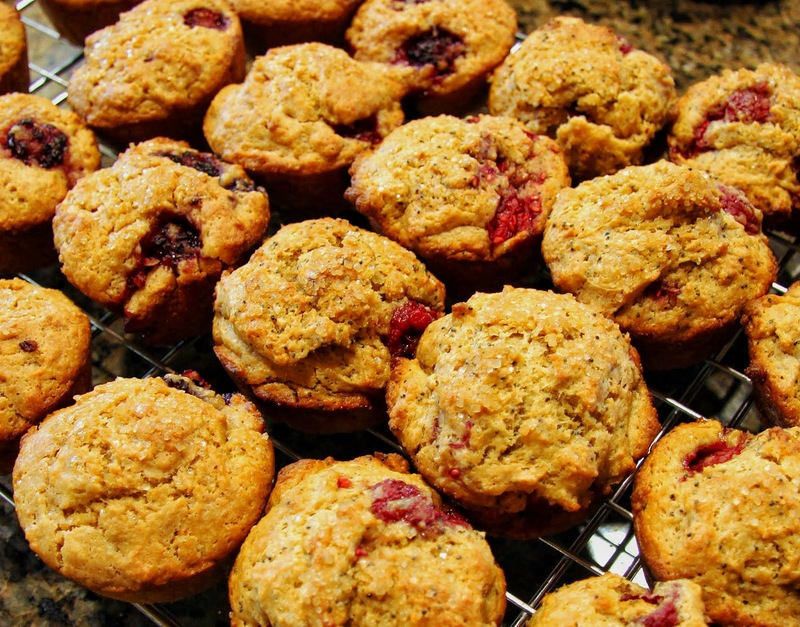 The muffins should be golden brown and spring back when pushed with your fingers. Allow them to cool for a few minutes then transfer to a cooling rack to cool faster (If you don’t have one, just leave them in the pan).